One half of Brooke & Boggs is Michael Boggs, formerly of contemporary Christian group FFH. This new endeavor finds Michael partnering with worship leader Brooke Voland. The combination is powerful. The worship style is lofty and vocally emotive, both key elements in leading others in a very expressive style of worship. Both Michael and Voland had been leading worship in their own churches until Michael set out to find a musical partner to record new songs with. He was led to Voland and together the set out to make original worship songs that would help equip churches. 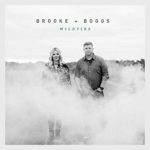 While this is not an uncommon mission among worship artist, it is different than what they both have done in the past; FFh was more of a contemporary-pop, radio friendly music and Brooke Voland was originally a touring and recording country vocalist. Their new music draws the attention more vertical and the style is more congregational than performance. The first single is “Grace Upon Grace,” an airy, elegant, worship song with moments of swelling choruses and impassioned vocals by Brooke. Both take the lead on “The Cross Stands,” a story about the power of Christ’s ultimate sacrifice and the symbolic nature of the cross; “the cross stands when we can’t.” It sings of freedom from guilt, shame, and hell as the “cross stands above it all.” It’s a beautiful testament to the power of the cross. They don’t have much of a web presence from what I could find, but they do have a landing page and a Facebook page if you’re interested in learning more about Brooke & Boggs. It has been a long time since I have heard from Jaci Velazquez, but what a way to reemerge! The new album highlights Jaci’s signature voice and pep that I have always enjoyed. The worship standards like “Great Are You Lord” have a fresh new sound. The new songs, they range from worship to a more pop flavored sound. “Trust” is a well-rounded CD musically, and Jaci is still on regards to vocal ranges and abilities. 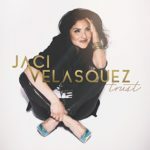 I would suggest checking out https://www.jacivelasquez.com/ for more on “Trust.” The new album is being released in both an English and Spanish version on March 31st, 2017. The new album from Mercy Me is chock-full of party tracks that are perfect for the spring season that is setting upon us now. It is a fun album with a lot of pep and uplifting messages. I love the fresh sounds of “You Found Me,” with its infections chorus and upbeat soundtrack, one that gets your body moving and your spirits up. They still know how to slow it down too and really hit you in the heart. For instance, “Even If.” This is my favorite track on the whole album. It is a more laid-back song musically, but the message is so powerful. I love how it pulls in the old hymn, “It Is Well With My Soul.” It further reinforces the power of an unshakable faith. 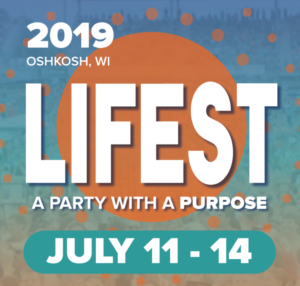 Overall, the new album, “Lifer,” is a positive addition to their already deep repertoire. The first single, “Even If” has already landed at #2 on the “Billboard – Hot Christian Songs” chart so you have undoubtedly been hearing this on Christian radio if you are tuned-in. The first time around, I dismissed Colton Dixon mostly because of the American Idol connection. I am not a fan of the overall concept of the show or the possible exploitation of the status the show can provide. However, after seeing Colton live and learning more about Colton the person and not the “idol,” I was finding myself more and more drawn to him and his music. I am certainly glad my opinions were challenged and I had been looking forward to this new release with much anticipation. “Identity” is a concept album that has been broken down into three subjects; mind, body and spirit. The sections are creatively introduced by a spoken-word/instrumental segue. The album overall has a very progressive pop-rock soundtrack with elements of dance-tracks. Having experienced Colton’s live show once before, I am guessing these new songs will take his live show to a whole new level. Personally, I really got into the album after the “Body” segment and particularly the song “Warriors.” It really seemed to pick up some momentum and further excitement at that point. I also like the Gospel message of “No Greater Love.” The highlight though is “The Other Side,” a peaceful song about life in eternity and how those behind can be comforted by the hope of salvation found in Jesus. 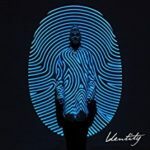 For more on “Identity” and Colton Dixon, check out his official website at http://www.coltondixon.com/ where you can get tour information and song previews. 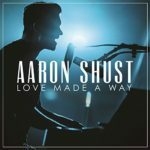 After ten years as a Christian recording artist, Aaron Shust decided it was time. “It felt like a new season, like a little celebration, a tip of the hat to the first ten years. . . . (Its) time to celebrate.” And he’s celebrating with a new, live recording. There are several familiar songs from Aaron’s catalog, including “My Savior My God,” “My Hope Is I You” and an outstanding version of “Cornerstone.” About that song, Aaron said he wanted to do something simple. This album is so flawless that aside from the applause between songs, you would have a hard time knowing that it was a live recording. The title and cover art do not even give it away and if you were to just listen to the songs you would think that it was simply a greatest hits project. However, when you dig deeper, you find out that it is live and that it is more than Shust’s greatest hits. The song selection was very deliberately picked for this live recording. Shust purposely picked songs that would create a powerful night of worship. Also, the standards chosen, like “My Savior My God,” were not performed exactly as they were originally recorded. The live album gave Shust a chance to stretch his creativity a bit more and to build upon an atmosphere of worship that he finds invigorating as he tours. There was another purpose behind the recording, that being a “celebration.” A celebration of a decade of recording and performing. It’s a mark well worth celebrating and I admire how Shust turned that into a night of worship (forever recorded) instead of a project that simply touts his own accomplishments. It is most evident in “My Hope Is In You,” one of my favorite tracks on the new project. The fullness of the audience singing along can clearly be heard on this track and to me it is one of the most inspiring songs on the album. Along with the emotive “God Of Brilliant Lights,” and the rawness of “Cornerstone,” which was recorded spontaneously, further embodying the overall worship experience. In conclusion, “Love Made A Way” is a meaningful testament to Shust’s 10 year anniversary. The moniker, Out of the Dust, appears to have many deep meanings for the husband-wife duo of Chris and Stephanie Teague. It speaks of our creation and purpose in life – “All That I am Made For” and their own spiritual journey. The duo was married at an early age and then went through some very rough times which eventually led to divorce. Miraculously, God intervened and brought redemption and restoration to their marriage. It is an amazing story that you can read about on their website. The new album is a mix of indie, folk, and pop styles that is somewhat like that of another husband-wife duo Waterdeep (not to be confused with Watermark). When I hear the sweet, tender voice of Stephanie, I think of Lori Chaffer singing “When the Cold Wind Blows.” However, there are many differences from that point that make Out of the Dust quite unique. For example, the focus on much of this album seems to be more on the pop format than the folk influences. 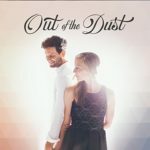 For more on Out of the Dust check out their official website at http://www.outofthedustmusic.com/. 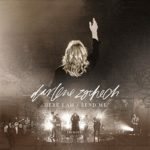 For more on Darlene Zschech and “Here I Am Send Me,” check out her official website at http://darlenezschech.com/. The latest from songwriter Laura Story has already been impacting the charts with her lead single, the title track, “Open Hands.” This song includes guest collaborator Mac Powel (Third Day). It is a catchy song sure to inspire. As a parent, I immediately connected with “Give You Faith.” I like how she’s taking a common parental desire and put it to such a tender song. There is so much truth and wisdom in this song. For me this is the highlight of the album because I can connect with her on this personally. I also appreciate the fusion of old and new on “For the Love of My King,” a heartfelt song of adoration towards King Jesus. Lastly, I think the song “Every Word You Breath” sums up well the overall theme of the project; God’s character is honorable and his love is abounding. 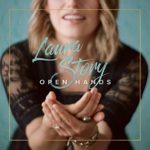 For more on Laura Story and “Open Hands,” check out her official website at https://laurastorymusic.com/.